If you know very many people at all, you probably know a firefighter (or someone who knows one). These people provide an extremely important job to the communities they serve, often putting themselves in considerable danger to do so. Despite the facts and danger required by the job, firefighters really don’t earn that much money (on average), according to Salary.com. 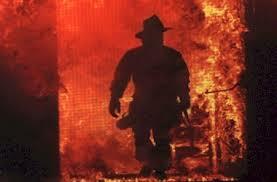 Firefighters, however, are often very entrepreneurial people. That really isn’t much of surprise. Entrepreneurs are risk takers, creative problem solvers, and people who react well to rapidly changing environments. Where do you think the work-phrase “I’ve been putting out fires all day” comes from? The next time you have occasion to visit with a firefighter, ask them, “So, what’s your OTHER job?” I’m willing to bet 90+% of the time, they will have one. The firefighters I have known over the years don’t sit still very well. Their work schedule typically consists of a multiple, full (read: 24 hour) days in a row of being “on” followed by several days of being “off”. With three or four days at a time available to commit to another project, job, or task, why not take advantage of it? One of my good friends was recently laid off from a six-figure job, and he’s been having a tough time finding a satisfying job to occupy his time and help take care of his family. Despite his many years of experience and impressive network of colleagues and friends, many of the people he knows “can’t really afford to pay him what he’s worth”.